Who is responsible for registering a leased vehicle with the DVLA? Registering a leased vehicle with the DVLA is a legal requirement. The DVLA stands for Driver Vehicle Licencing Agency. The DVLA is a huge database containing information on every car in the UK. This includes vehicles that are no longer on the road. The information the DVLA keep includes the car specifications such as make, model and colour. Alongside the contact information of the registered owner and registered keeper of the car. 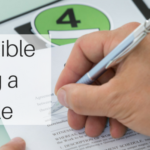 We get asked a variety of questions about registering leased vehicles, but the most common is whether the responsibility of registering a leased vehicle lies with the lease company or the driver.